Oops - we don't appear to have a video for the GT-30000N. 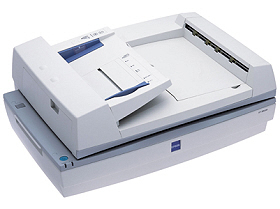 The Epson GT-30000N A3 document scanner makes document warehousing a simple task, with high-speed scanning at the touch of a button. 30 pages per minute, newly customised High Speed TWAIN and ISIS® drivers, a 100-page duplexing ADF and networking as standard make this the first choice for document processing.